Lift Your People to High Performance! Team coaching is the most sure-fire way to get your team aligned and performing at their peak. When a team is stuck in conflict and politics, it’s unlikely that any member of that team will reach their potential. Conversely, every member’s personal performance benefits from a high-performing team. THE TRADITIONAL business model is to strive to have teams that stay together for years. The assumption was that, by getting to know their jobs and each other, they would perform better. However, just like a dysfunctional family, their “stuff” can get locked into the system and they can spend years going around in circles, holding each other back, and never really reaching their potential as a group or as individuals. Recognition of the missing potential, and a particular intervention from someone who is both skilled and not part of the system, are key elements required to make a difference. All that said, an increasingly common issue today is that people don’t stay around for that long. Team members change every few months and the face of an entire team can change within two to three years. In addition, people are expected to be more collaborative, and a lot of work in corporates is being done on a per-project basis. The leader of one project may not be the leader – may not even be part of the team – for the next. This brings with it a different challenge: people need to be able to band and disband with minimal fuss, and hit the ground running each time. Either way, team performance has become more valuable than ever. What are your team performance needs? There is most often a fair degree of uncertainty and tension when a new leader takes over, or when new members join a team. It takes time for relationships to form. Often, with even a small change, the team can return to the forming stage (to use Tuckman’s Team Stages model) and has to work its way back through the stages to high performance. The quicker you can embed new leaders or members, the better. Often when a team is new, or when there are sensitivities because people take things personally, then we have this problem of too much politeness and not enough honesty. This is not to say we should give bullies permission to not be polite or sensitive. People’s sensitivities should be acknowledged, but should not be allowed to dominate at the cost of honesty. Honest, polite, sensitive feedback is crucial for high performance and getting the balance right is a skill that can be learned. When conflict is high it may be a natural phase while people sort themselves out. 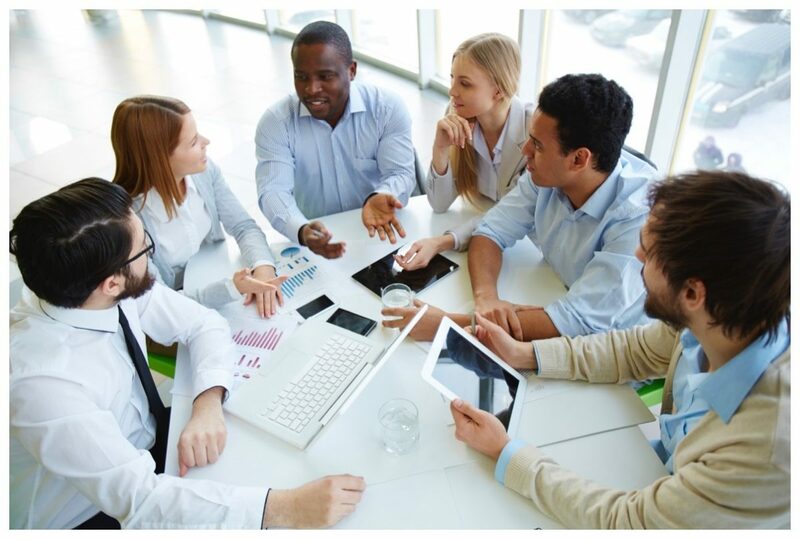 If the conflict continues, it can often be due to team members being more invested in their personal agendas than in the shared goal of the collective. It can also be an indicator that team members have not managed to recognise, accept and harness their differences and play to each others’ strengths. Teams often get stuck because each member expects everyone else to do things they way they do and nobody wants to budge. We are stuck in our ways! Complacency can arise when a team has been successful doing things a certain way. This can become entrenched and innovation suffers. Teams can get stuck in this way and not see it, even when everyone else can. A high-performing team has the characteristic of constant challenge and shaking things up. Every team member needs to consistently challenge other members to operate outside of his or her comfort zone. If a team is not doing that it’s not standing still, it’s going backwards. We need to sustain our high performance! The greatest danger of success is that it gives rise to complacency. There is a story that after winning a tournament, golfing great Gary Player was on the course the next morning, practising his bunker shots. He, more than most, has demonstrated that greatness doesn’t happen without conscious effort. A team that wants to sustain high performance needs to know precisely what practices got it there; it needs to define what new practices will keep it there; and it needs to do them. 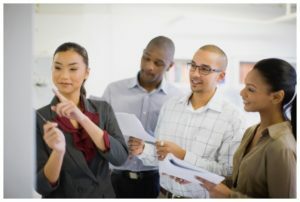 For a light intervention, such as a team-build-with-a-purpose or to embed a new leader or members, I recommend the Team Discovery Day™ (TDD), which was developed specifically to kick-start a team’s journey to high performance. The program uses the enneagram, a model of personality types, to facilitate understanding of self and others. It also draws on Tuckman’s Team Stages model and Naomi Klein’s Time To Think model. The day ends with individual and team declarations. + Commit to individual and team actions to begin the journey to high performance. + Settling a project team as quickly as possible. You don’t want to move a houseful of furniture with a light pickup, and so you wouldn’t expect to resolve major team issues in a single day. Therefore, a two-day offsite workshop is needed if there is more to deal with than a simple one-day team build can handle. A rule of thumb is that if there is “stuff” to unpack, you need a day to do that, whatever it is. Then you need another day for the coach to play Humpty-Dumpty and put all the pieces back together again so that people can leave feeling empowered and inspired. An ideal program will weave in the enneagram, a model of personality types, to facilitate understanding of self and others. It will also draw on Tuckman’s Team Stages model and Naomi Klein’s Time To Think model. The process should end with individual and team declarations. + When high levels of conflict and/or other forms of dysfunction keep surfacing within the team. + Further team sessions to check in, hold accountable, and embed the learning. A critical success factor is that the leader and all team members must engage in the full process. Real, sustainable change does not happen as a result of a single event. It requires a series of planned and integrated interventions. The full integrated process begins with the coach spending time with each team member, and possibly some people around the team. This is to gather the narrative – the story about what’s really going on in the team – which gets fed back to the team anonymously during the two-day offsite workshop (see previous tab). The two-day offsite will be followed by a series of individual and team coaching sessions. The latter may be expanded into half- or full-day modules to develop particular competencies, based on what emerges during the process. The following are themes that typically arise: making and keeping agreements; conflict management; giving & receiving feedback; developing trust; enabling collaboration; creating a listening environment; developing a coaching style of communicating; building resilience. The scope of this program, and frequency of interventions, will depend on budget and time availability. To give an indication, a full program will usually last about nine months. + Any team totally serious about and 100% committed to developing high performance. The journey to high performance is a tough one and the rewards are a direct function of the level of commitment shown by every member of the team. A weak link in participation is likely to reveal exactly the weak link in the team. For example, if the team keeps changing dates, or one member keeps missing sessions, right there is your weak link. The integrated process will reveal any such weak link and the team will be forced to deal with it. Step 1 | Coach to meet the team in a formal group setting. This breaks the ice, gives people a chance to ask questions, and me as coach a chance to assure confidentiality. Step 2 | Each person will be required to complete an online questionnaire to determine behavioural styles using the enneagram, among other factors. The results of this questionnaire will be presented back to each person in a 43-page Personal Feedback Report, either in a one-on-one or a team debrief. Step 3 | Where relevant, the coach will gather the team narrative: what you are saying about yourselves and each other and your leader. This will be themed and fed back to the team collectively (and anonymously) during the two-day offsite. Step 4 | The one-day team build workshop, or two-day offsite. The latter should preferably involve an overnight stay and not too much alcohol! Step 5 | Various follow-up steps may be recommended, based on what emerges from the one-day team-build workshop or two-day offsite. These could include: leader coaching; team member coaching; team coaching; half- or full-day action-learning workshops. Step 6 | We would collectively perform an objective evaluation at the end of any process, and decide what forwarding actions, if any, are necessary. This may surprise some leaders, but they are not separate from the team. They are team members just like everybody else, although they have a special function: to lead the team. Notice, I called that a special “function” and not a special “status”. More and more, project teams are coming together for a purpose, then disbanding, sending those team members out to join another team for a different project. In these instances, the leader in one project team is seldom the leader in another. This creates a better understanding for each leader that their role is a special function within the team, and not a status like some knighthood that gets conferred on them forever, and as a result of which they become perfect, always right, and blameless. When a leader sees his position as a status rather than as a function, and there is a problem in the team, he is more likely to send the team for coaching to “fix” themselves, and to not fully engage himself. In such cases, the team does not engage fully either and so does not take on – or does not sustain – the learning. For any team process to work, the leader must step off their status pedestal and recognise their special function as leader. When they do this, they participate more fully and become more available and authentic. That sets the tone for everyone else, and the return on investment (ROI) naturally follows. When Is A Team, A Team? You wouldn’t try to use a screwdriver to loosen the nuts on a car wheel when the tyre is flat. Likewise, a team intervention is not likely to be effective for a workgroup, so there is value in understanding the difference between the two. A TEAM is defined by the presence of interdependence and synergy. This can only exist up to a certain size, beyond which there are too many links or contact points to be maintained. People begin to feel left out or unsupported and time gets wasted trying to accommodate everyone. The general rule of thumb is that a team consists of “seven plus or minus two” members. Some insist that six is the limit. In addition, there are other factors to consider when deciding whether one is dealing with a team or a workgroup. Q: Does each member’s performance directly influence the performance of the others? Q: Is there consensus on a clear common goal? Q: Are all members equally committed to and accountable for achieving that goal? For additional perspectives on team performance and the ROI of team coaching, read my blog.